A new 40-page memo from county Mayor Carlos Gimenez opens the doors to a development gold rush in downtown Miami. It suggests the county could package nine of its sites so someone could develop 13.5 million to 18.9 million square feet smack in the core of the city. The memo says that probably not all nine would be developed at once, and that all work should be consistent with aims for downtown. But, it says, opening these sites to one or more private partners could bring the county a much-needed civil courthouse and “if appropriately planned, the needs for educational institutions, park and civic space, housing and office space for the county… can be met” as well. All of that, the mayor’s memo says, could be done without the county yielding an inch of land or, it’s implied, spending a penny to get what it wants if it simply partners with the right developers. This memo is headed for the county commission, which should scrutinize it not for what’s now on the table – the county lists only a single potential partner now in formal talks – but for what the county aims to achieve and how far it’s willing to go to get it. In any serious public-private proposal, the developer will expect solid profits. Nobody cuts a deal expecting to lose. That means that to get buildings it needs, the county would deal away valuable rights and space where it already has buildings. Ramifications could be enormous in meeting taxpayer needs without cost. The memo outlines what sites developers might get, with the public aims and implications to be filled in later. This bonanza image didn’t come out of thin air. Back in December 2014 commissioners led by Bruno Barreiro and Audrey Edmonson voted 11-0 to order the mayor – whose dual jobs include both leader and administrator – to plan for the development, maintenance and use of county-owned properties from the Miami River north to I-395 and from the bay west to I-95. Two-plus years later, this extensive plan is the eye-popping result. The study found that, other than for transportation, the county owns 19 downtown properties totaling 46.2 acres, of which nine totaling 22.7 acres have development rights that could vastly expand their use. How vast? From 2.8 million square feet developed today to as much as 21.7 million – all paid for by as-yet-unknown parties who would add space for government downtown and control the rest of the land for profit-making developments. The gold rush is on. ■On vacant land north of the 30-story Stephen P. Clark Center (the hub of government) and a daycare center at 111 NW First St., a firm could lease for development 2.5 acres worth $75 million for up to $3.77 million a year. The Clark Center consumes only 6.7% of the site’s development capacity at 775,478 square feet, the memo points out. All Aboard Florida is talking with the county about building a transit center there. That would take up just the ground floor, however, so a developer could go vertical hundreds of feet, potentially giving county hall a taller neighbor that could also provide county expansion space. ■The Cultural Center next door, home to the main library and HistoryMiami Museum, sits on a full square block that’s mostly a plaza that few people even know about. At best use, the report says, the block would be demolished, leaving a land market value of $84.8 million as of December 2014, probably far more today. If the buildings can’t be demolished, the report suggests that sale and leaseback of the land would yield the county $28.8 million. But, the report points out, nobody has formally proposed anything – as is true with other sites that could be bargaining chips to meet needs through private party deals. ■A motor pool and vacant land at 150 SE Second Ave. could be sold and demolished, bringing the county $20.25 million. The county then would have to find somewhere else to fuel its vehicles downtown, which shouldn’t be tough. There might even be a question why the county is in the filling station business. ■The Metro Flagler Building at 140 W Flagler St. is 16 stories of county offices but creaky. It needs maintenance costing more than its value, the mayor’s report says. A developer could build up to 36 stories on the site. ■County staff says a developer might pay $17.5 million for 42,000 square feet on the grounds of the 3-year-old Children’s Courthouse at 165 NW Third St.
■What may be the greatest need downtown is to replace inadequate and crumbling 28-story, 1925-vintage Miami-Dade County Courthouse. Officials have been seeking a solution for years. The study offers three paths: sell the courthouse and its development rights for $31.3 million and lease it back, then find a new courthouse; sell the building and vacate it, which could bring $21.6 million; or sell only transferred development rights for an estimated $11.06 million. ■The Hickman Building and garage at 270 and 275 NW Second St. now total 359,230 square feet but have a development potential of up to 4.7 million square feet, the study found. Also potentially marketable: Parcel B, the 2.77 acres behind the AmericanAirlines Arena that were pictured as soccer fields to sell the arena deal to taxpayers. 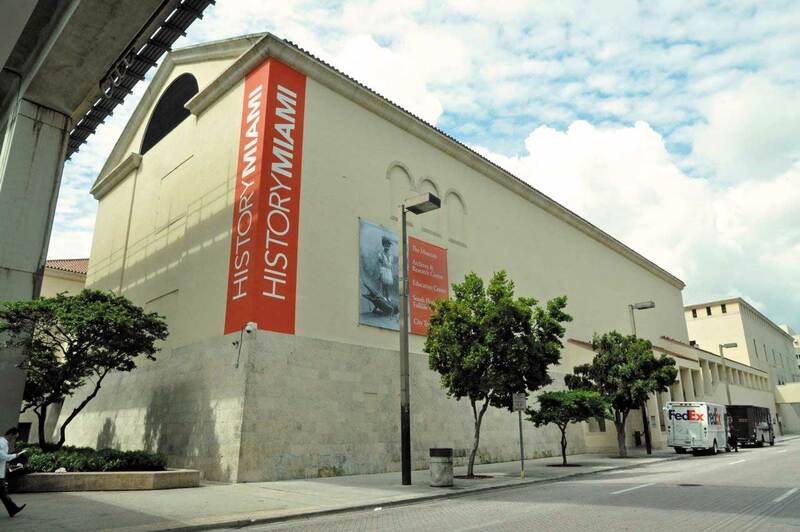 The county is negotiating to lease the site for a Cuban Exile History Museum. The Miami Heat uses it now. Other groups have also talked about using the totally bare ground. An appraiser found that minus development restrictions, the land would be worth $120 million. So should developers’ mouths be watering at the thought of nine deals for nine sites or a single package deal that could transform downtown? And should commissioners be lusting after all the goodies that public-private deals could bring – because today it’s a blank slate with anything possible – or should they be cautious about dealing too much away with too little control? Remember, the more strings the county attaches the less a deal will be worth to developers and the less the county will get. In other words, is this memo a panacea for our needs? Frankly, we’re a long way from knowing. All the estimates are probably understated, since they were made in 2014 and downtown real estate has been soaring. The county could get even more. On the flip side, it might be hard to find a single developer with an appetite for all of these goodies at a time that Swire is only part way through its mammoth Brickell City Centre just to the south and Miami Worldcenter inches slowly just to the north. And while the county might question deals with developers, developers might also wonder what could happen at county hall if our rapid rise in valuations should slow for reasons stretching from uncertainties in Washington to global wobbling or a force of nature like rising seas. Where would demand for space be then? Downtown Miami is highly desirable today, but timing is everything. The ability to develop 22-plus acres downtown in return for meeting county hall’s needs is appealing. So is the idea of making waste space work for us instead of tapping taxpayers’ wallets. So commissioners certainly will take this study seriously. But they need to be certain that there is real private demand from serious developers who can perform as promised. We won’t know that until the county hangs out a partners-wanted signs. Expect that soon. Then encourage the county to vet proposals carefully. Because once these nine sites are gone, we’ll never get the chance to try again downtown. The gold rush will be over. Your article mentions the county might be interested in exploring a private partnership with a developer in exchange for a a new civil courthouse. Why wait for making a deal on a county land swap when action is needed “yesterday” re a new courthouse? Why not make a deal today with All Aboard Florida for leasing space in the multi-use towers they are building right now that are only a few blocks away from our current crumbling courthouse? How convenient that would be to anyone– like the jury pool– who have to travel downtown for legal reasons. Think about how many cars that would take off the road. It’s a no-brainer that needs to be acted upon immediately. Is there already a brand new Cuban museum on Coral Way? Isn’t there already a brand new Cuban museum on Coral Way?